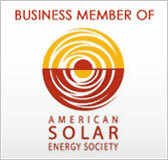 Solar Panels | Solar Panels | Solar Power | Site Map | Bookmark This Site! Solar panels are the foundation of any photovoltaic system. They absorb sunlight and the silicon within them emits electrons in response, creating the same kind of electricity that runs appliances from cell phones to laptops. Flexible solar panels are greatly changing the way we see solar power. Based on thin film and multiphase crystal technology, flexible panels are already replacing large, inelegant panels as the face of solar power. 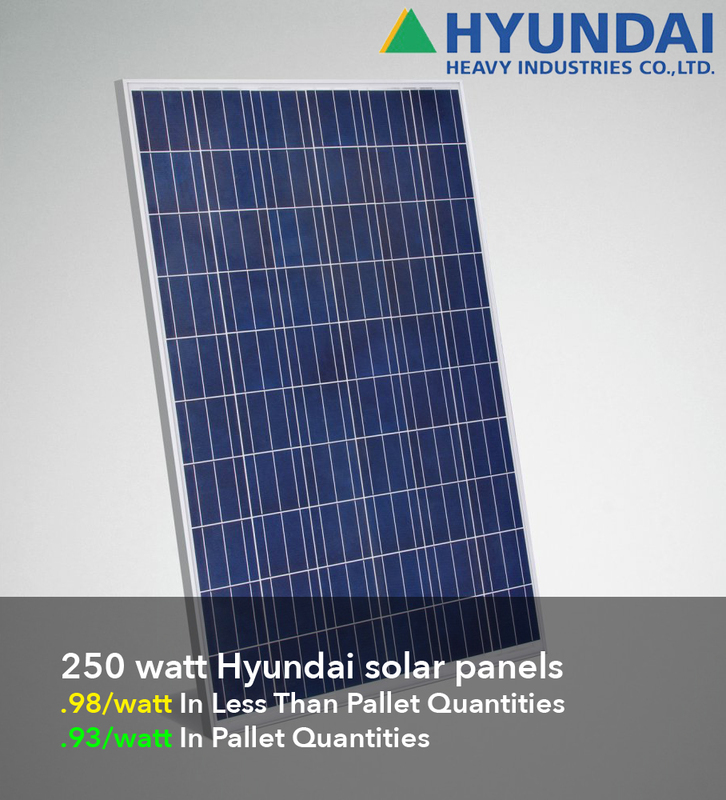 Solar panels are one of the basic components of a photovoltaic system. They work by converting the sunlight that strikes the panels into an electric current. The principle was first discovered in 1839, but it would be nearly fifty years before the first solar cell was built. While many semiconductors exhibit some limited photovoltaic effects, in nature the electrons are emitted into the environment and lost. A solar cell is necessary to harness the electron emissions and focus them into a usable current. 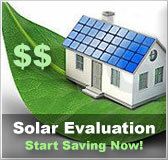 At Solarhome.org we carry a variety of panels from top manufacturers such as GE, Evergreen, Sharp, and Schott. But panels themselves are only a part of what it takes to run a PV system. In addition to panels, you will need several other components as well as a realistic assessment of your energy goals and current usage. Solar is an extremely flexible energy source and it can be modulated to meet nearly any energy requirements. But the first step towards meeting those requirements is a realistic assessment of what your energy needs are. Your current usage is the single most important factor to nail down before you start shopping. Knowing what your peak usage is will allow you to accurately assess how many solar panels it will take to meet your energy goals. You can opt to invest heavily enough in solar power to completely offset your energy use, or only install enough capacity to take a part of your electric load. Looking at your current usage also gives you a great idea of what steps you can take to reduce your power consumption; many households are unaware of just how their electricity use goes. In addition to solar panels, a good PV system includes an inverter, battery storage and backup, and potentially a grid tie-in. An inverter is necessary because your panels produce direct current, while your home uses alternating current. 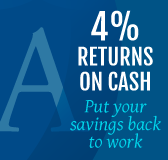 It is important to remember that the conversion from DC to AC takes an efficiency hit of somewhere between five and ten percent; so you will need to budget extra power to ensure that enough is left after the transfer to meet your needs. Battery backup allows you to run off of solar power even when the sun is down or obscured by clouds. Studies have shown that peak power usage lasts from about 6pm to midnight in most areas. This is when working adults typically get home, turn on the TV, the oven, lights, and other appliance. For some months of the year, half of the 6-12 timeframe is too dark to produce meaningful power. To get around this, solar systems can store excess power they produce in batteries and then use that power once it is needed. Battery backup also allows you to be prepared in case of a heavy storm or a power grid failure. Grid tie in is perhaps the most exciting recent development in power legislation. It started in countries like Germany. The idea is based on the concept that a power company sells you power at a certain rate. Since they are in the business of making power and most utilities are government regulated if not state owned; a power company could be mandated to also purchase power from you at a certain rate. This means that if you hook your solar panels up to the power grid and you produce more power than you use; the utility writes you a check for the excess power. Imagine getting a check every month instead of a power bill! That's the idea behind grid tie in. 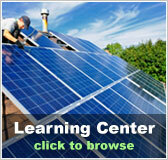 You can get more helpful information about solar power and panels at our solar statistics page.